Fred received his Bachelor of Science in Business Administration from Slippery Rock University of Pennsylvania in 2005, majoring in Business Management. Prior to attending law school he was the Director of Business Development for a medical staffing company in Pittsburgh, PA. Fred graduated in the top 10% of his class from Barry University’s Dwayne O. Andreas School of Law in 2012, where he received a Litigation Honors Certificate with high honors. During law school, Fred served as a legal intern for Judge C. Alan Lawson at the Fifth District Court of Appeal, represented indigent juveniles as a Certified Legal Intern with Barry’s Children and Families Clinic, and clerked at an Orlando law firm specializing in Personal Injury, Civil Litigation, and Family Law. Fred was also an Associate Editor of Barry’s Law Review and earned book awards in Employment Law, Mediation, Advanced Legal Writing, Children and Families Clinic, and Professional Responsibility. 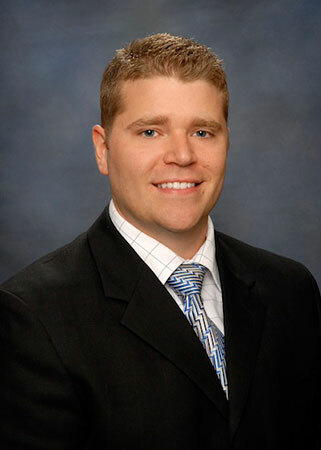 Fred is licensed to practice law in Florida and works in our Tampa office.